Hello! My name is Naprie and I am 30 years old. I have been a 2nd grade teacher for the past three years and I am currently working on my masters to become an intervention specialist (mild/moderate) at the University of Akron. Prior to teaching 2nd grade, I taught kinder for a year and a half. Working with children is my passion. 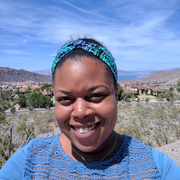 I am currently working full-time as a 2nd grade teacher, but I am looking for work during our upcoming summer break. While I have been out of the nannying business for a couple of years, I am looking to spend my summer with some awesome kiddos and their loving family. Please feel free to contact me with any questions! Naprie doesn't have any reviews yet.